Welcome to summer time in Les 2 Alpes! A wonderful stay in the international resort awaits you for mountain sports, relaxation in the fresh mountain air and a unique summer ski experience on the glacier at 3600m above sea level. Whether you are looking for a beautiful alpine location to enjoy mountain biking, hiking or dream of a stunning, natural retreat to recharge your energies in the summer sunshine, Les 2 Alpes offers the opportunity to create the ideal summer mountain holiday. There are a multitude of sports, leisure and cultural activities to enjoy and when it comes to accommodation, there truly is a hotel, chalet, campsite or apartment rental for everyone! 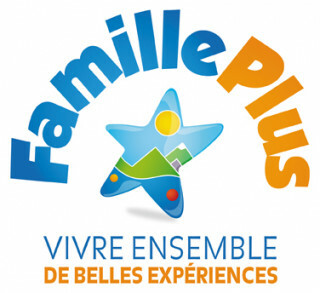 Find the perfect match for your budget and desires and look forward to the ideal holiday experience in Les 2 Alpes. Explore the wonderful holiday themes available in Les 2 Alpes during the glorious summer season. If you are seeking a weekend hike in the mountains, want to book an outdoor holiday that all the family can enjoy; a gourmet getaway or even a summer break filled with self-pampering and relaxation, Les 2 Alpes offers a wide range of accommodation to meet your needs for comfort and pleasure during your stay. Les 2 Alpes booking center is dedicated to helping you find the ideal accommodation all year round! Browse, be charmed and book your chalet, hotel or apartment rental with ease and peace of mind! From the range of charming hotels to cozy mountain chalets with fabulous views to family-oriented campsite and apartment rentals, you can choose to stay in the heart of the vibrant, friendly resort or opt for a quiet and tranquil location… your holiday themes are yours to choose and to experience in Les 2 Alpes. Ski lodge, Les 2 Alpes Booking Office offers you a large a choice of accommodation, apartments and chalet to rent for your mountain holidays.